I unscrewed this to wash out the filter and when I tightened it back it leaks now. 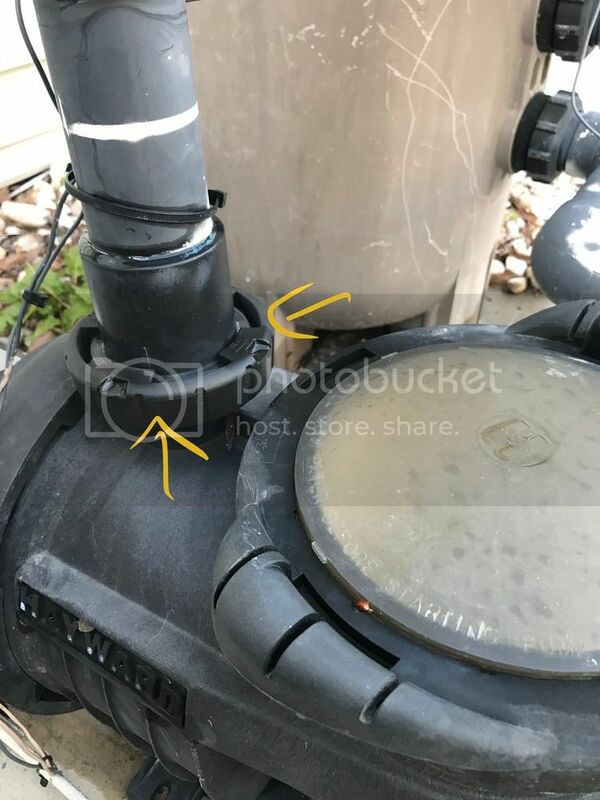 I did not see an O ring and can't see the model of the pump to replace it. Would I be able to use plumbers tape or another method to prevent the leak? Any steps on how to fix it would be appreciated. Thanks. Skippy suggests that you look up the schematic for the hayward pump you have online and see if it calls for an O ring or flat gasket. He thinks for sure it should have, being that its under pressure. Some silicone o-ring lube, aka plumber's grease, will help stop a leak. It looks like the glue joint is leaking and dripping down. Wipe dry to confirm.